Yokogawa Electric Corporation announces that its subsidiary, Yokogawa United Kingdom Ltd., has received an order from the British Pipeline Agency Limited (BPA), the UK’s leading provider of engineering and operational services to the oil and gas pipeline sector, to supply a management and control system for a major multi-product fuel pipeline system. This project will replace BPA’s existing pipeline management and supervisory control and data acquisition (SCADA) systems. 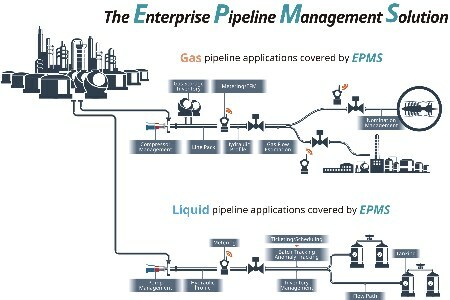 The pipeline system consists of three integrated multi-product fuel pipelines that, altogether, are some 650 km in length and extend from Ellesmere port in northwestern England to the country’s southeastern coast. The pipelines connect to the City of London’s major airports and are a critical part of the UK’s infrastructure. In accordance with its Transformation 2017 mid term business plan, Yokogawa targets the entire energy supply chain. The company is strengthening its efforts to drive up sales by providing solutions for oil and gas pipelines and other midstream applications. Encouraged by its success in winning this order, Yokogawa plans to expand its control business in the midstream applications segment.